WAY TO GET IT DONE!!! The next BIG news of the night are how incredible my other two clients did. 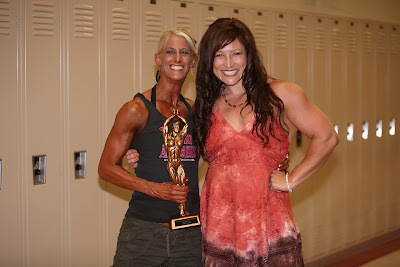 Melissa and Aimee both competed for the first time in figure on Saturday and did an incredible job!! They were both stunning, and also might I add, both mothers of young children! Aimee has 9 year old triplets and Melissa has 9 and 11 year old daughters! Aimee placed 2nd in the masters figure class and 3rd in the open tall class! 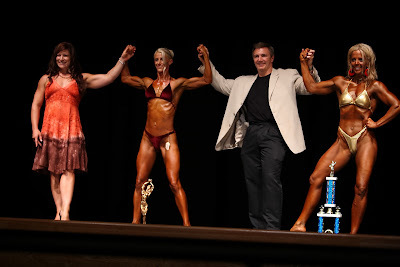 Melissa placed 3rd in the masters figure class and 3rd in the open medium class! TEAM ABRAMS I AM SOOOO PROUD OF YOU!!! Photos coming soon!!! Thank you to my friend and Team Abrams' "official photographer", Terry, for capturing everyone's hard work! !